Customer communication is vital for having a profitable and successful business. Communication is fundamental for attracting and retaining. Whilst improved communication within the business allows your company to access a diverse range of ideas and knowledge. Improving your communication can create a happier workplace with employees feeling more confident in their roles, this then increases productivity and profit. 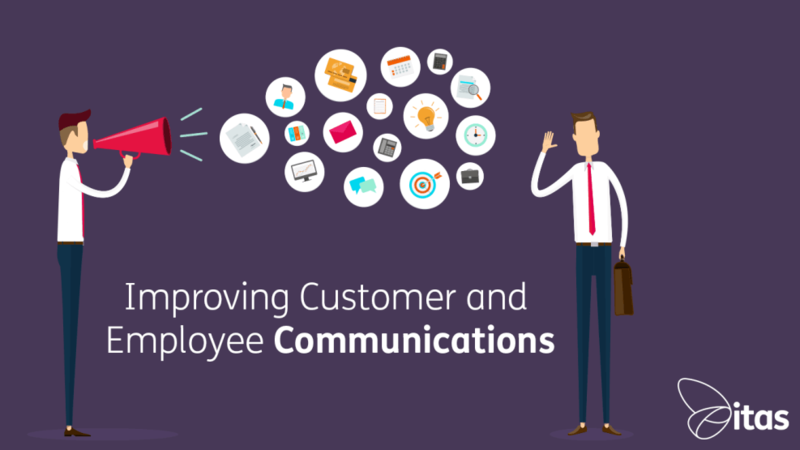 Throughout this blog post, we will look at the main types of communication with customers and internally with employees. Communicating with your customers whether it’s on the phone, through email or in person, is one of the most important aspect of your business and improving and developing this should be a major priority within your business in order to keep your customers engaged. Improve interaction with customers by choosing the right communication medium for your business. If you are mostly communicating via email, take the time to craft messages to your customers with accuracy. Keep communicating with customers constantly in order to build more of a lasting relationship. If you fail to communicate with a customer for a long period of time the this may lead to difficulties in the long run as the customer is less involved and emotionally invested in your company. Use of ‘language engineering’: management could provide employees with suggested phrases that will improve interaction with customers. This can be done across all communication mediums. Utilising your advertisement and marketing platforms in order to communicate your business’s message to your customers. 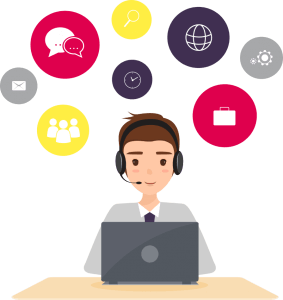 By using a mixture of different methods of communication, this can have the potential to create a closer relationship with your customers as well as reach out to a wider range of potential customers. It is important to know the difference between direct and indirect marketing techniques. With direct marketing communication, using platforms such as television and magazine ads, helps your business to target a specific market segment to sell your product. However, the use of indirect marketing communication uses for example, social media or newsletters to convey a less ‘in your face’ approach to selling your products and brand. This helps to build more of a rapport with potential customers by not shoving your ads on them when they are trying to interact with you. Make sure all your marketing communication methods whether it be on social media (indirect) or television ads (direct), conveying the same message to your customers. The use of integrated marketing communications (IMC) utilises all promotional tools and the integration of them. The use of these different promotional tools together is intended to boost the effectiveness of each individual marketing communication method as they reinforce each other’s message. This method insights a more coherent and consistent marketing message. 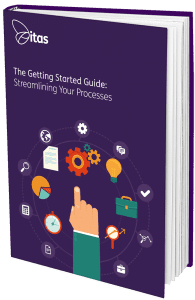 This then leads to customers having a clearer view of your business, creating an easier and more effective experience for both you and your customers. Fully take advantage of social media platforms and learn how to effectively use them to talk and interact with customers and gain feedback. Good communication between the management of a business and its employees is vital for creating a positive and effective work place. Management-to-employee communication needs to work both ways to be effective, with management clearly providing employees with all the information necessary to complete their tasks, whilst employees must be able to inform management of any concerns they may have without hesitation. Provide feedback to employees and conduct one-on-one meetings as this gives more of an opportunity for both management and employees to talk about more personal goals or any workplace related issues that wouldn’t be appropriate to discuss in a group setting. Implement either a physical or digital option box for employees to anonymously mention any issues as they are much more willing to be honest in sharing problems if they are anonymous. Make sure that you communicate regularly with employees and keep them in the loop with what’s going on in the company and make sure everyone is on the same page. This gives employees an insight into the bigger picture of the company, letting them know what they working for. Having a positive working relationship with your colleagues is very important in helping you get your job done. When you have effective communication with your peers, this means you are able to share ideas, help one another achieve goals, provide feedback to one another on how to improve and also answer any questions your colleagues may have. Interact directly and honestly with co-workers as talking about them behind their back can be damaging for your relationship and effect how you work and interact in the workplace. Create a cohesive group environment where people feel more comfortable communicating freely and feel more valued within the team as they then feel like their concerns are being heard by the whole workforce.